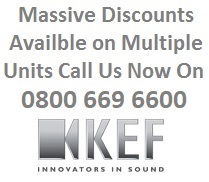 KEF has been manufacturing high end performance speakers for domestic home cinema and Hi-fi users as well as for commercial PA applications for many years. The Ci series is an culmination of 50 years experience resulting in some of the highest performing custom speakers in the industry. All of Kef's Ci speakers are made for flush mounting into ceiling voids or walls, the Ci series delivers KEF legendary quality as unobtrusively as possible featuring some of the thinnest bezels on the market. All of Kef's custom speaker models are designed to withstand a multitude of environments including bathrooms and under the eves outside. The C series of custom speakers features KEF’s unique asymmetrical tweeter island, this configuration reduces high frequency diffraction and aligns the off-axis power response of the tweeter and woofer to make the speaker almost as placement friendly as Uni-Q. Combining impeccable sound quality with the elegant ultra-thin bezel. With Kef's simple and ingenious mounting system, you'll also find them amazingly easy and rapid to install. The Ci160CL is a rectangular shaped speaker opening up limitless possibilities for interior designer allowing even more discreet integration. The Ci160CL delivers Hi-Fi quality sound through a polypropylene cone low frequency driver with a high frequency driver mounted at the acoustic centre of the LF drive unit. The bezel and grill can be painted to match the interior decor of the room. 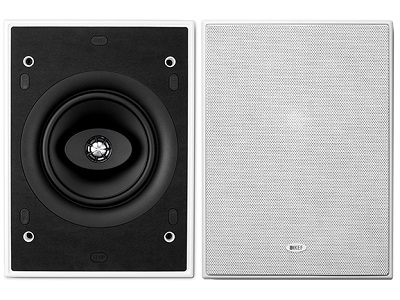 The Ci Series Ci160CL comprises 19mm aluminium dome tweeter with 160mm white polypropylene bass/mid unit with double neo compound magnet system. Performance should meet or exceed the following criteria: frequency response be 52Hz to 20kHz, sensitivity shall be at least 89dB for 2.83V@1m. The impedance shall be 8 ohms.